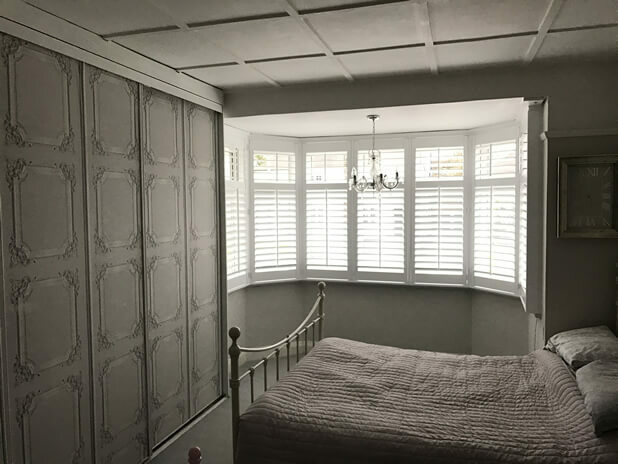 A client with a period property in Beckenham, Kent was looking to have some shutters created to fit two bay windows in the property. 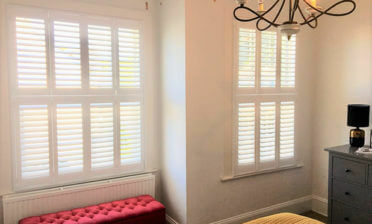 Having period style rooms the customer was keen to have shutters that matched the look and also created a luxury feeling to the windows. 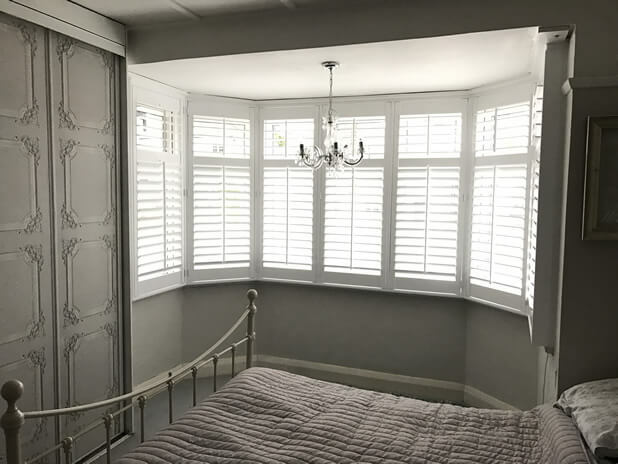 The shutters were manufactured using our Fiji Range of Paulownia wood and crafted around each bay window to perfectly fit and function as required. 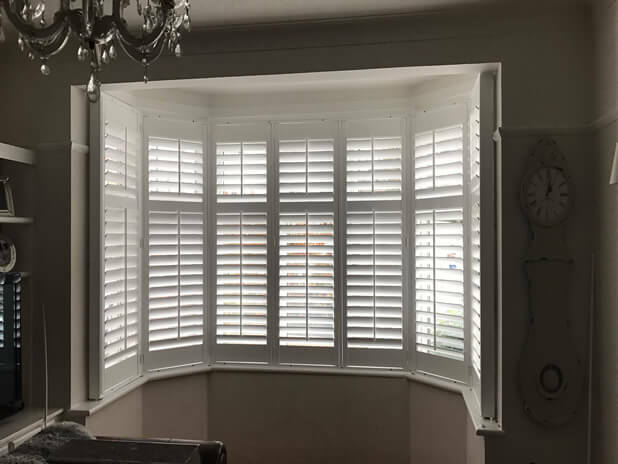 The shutters were made with a mid rail two thirds of the way up the shutters, matching the design of the windows behind and allowing the customer to adjust the bottom and tops of the shutters separately. We created the many different angles of the shutters using custom made bay posts which ensure the angle of the bay is perfect the whole way around the window, creating a flawless look from inside and outside of the property. 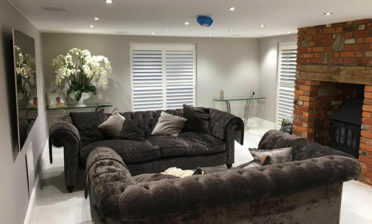 The client was looking for bespoke shutters that took into account the existing décor and style of rooms where the shutters were to be installed. With the period look of the property taken into account and with our advice the client opted for central tilt rods to create a more traditional look to match the rooms. 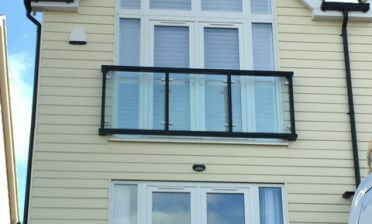 We used 63mm louvres to help easily gain extra privacy and adjustment of light whenever needed.